MEXICO CITY (AP) — The two mothers walked shoulder-to-shoulder ahead of a casket in the northern Nicaraguan city of Esteli, wailing in shared grief at the killings of their sons during a wave of anti-government protests. 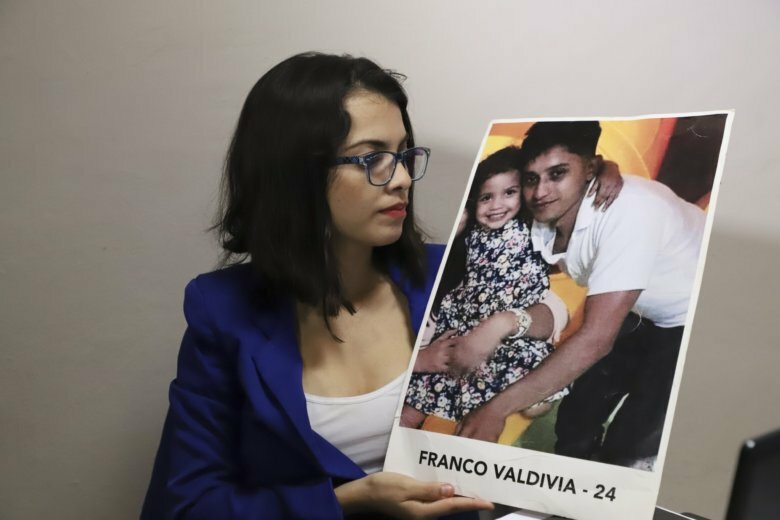 Francisca Machado was accompanying the casket holding her 24-year-old son Franco Valdivia Machado’s body to the cemetery on that April day. Socorro Corrales had just buried her own son, 23-year-old Orlando Perez Corrales, the day before. From that image of solidarity was born a movement that became the Mothers of April, formed by relatives of many of the 325 people killed in the government suppression of the student-led protests. Its members are demanding justice from President Daniel Ortega, who has tightened his grip on power and targeted voices of dissent, arresting hundreds and closing media outlets and human rights groups in the aftermath of the protests. The group is preparing for a long struggle for accountability for the killers of their children from a government that has labeled the protesters criminals and coup-plotters. Three of its nine leaders have fled Nicaragua, fearing for their own safety. “We don’t want to think about many years passing, but part of our responsibility is to prepare for that scenario,” said Francys Valdivia Machado, whose younger brother was buried on April 22. Nicaragua’s mothers are drawing on the experiences of the best-known such group, Argentina’s Mothers of the Plaza de Mayo, and the more recently organized Mothers of Ayotzinapa in Mexico. About 150 families are involved in the Nicaraguan movement. Valdivia and Perez were both university students, the former a third-year law student with a 5-year-old daughter, the latter about to complete his engineering degree. Valdivia composed socially conscious rap music under the name “Renfan” and loved baseball; Perez was active in his church’s outreach, especially with the elderly. They did not know each other but were standing near one another on the evening of April 20 during a protest against social security cuts in an Esteli park. Perez fell first. Valdivia started to move toward him when he was shot in the head. Their families believe they were both shot by a sniper firing from City Hall. Fifteen minutes before Valdivia was shot, he had denounced authorities’ use of force against peaceful protesters on a Facebook video holding what appeared to be a rubber bullet in his hand. The nationwide protests began April 18, initially drawing mostly senior citizens who were the most directly impacted by the announced social security cuts. When the elderly protesters were met with violence from pro-government Sandinista Youth thugs, students turned out in large numbers to defend them. Ortega and his wife, Vice President Rosario Murillo, maintained the use of force was justified to fend off an attempted coup. Domestic and international human rights groups strongly disagreed. A group of independent international experts sent by the Inter-American Commission on Human Rights to investigate violations wrote in its December report that the killings were carried out by police and pro-government gangs unleashed against the protesters. The experts were expelled from the country before they could publicly release their report. On a recent afternoon, Francys Valdivia Machado joined a videoconference with other Mothers of April executive committee members. The group’s president, she was taking part from a spare bedroom in a rented house in the Mexican countryside, where she fled after receiving threats from Ortega’s government. In June, two men dressed in T-shirts like those worn by the pro-Ortega goons who violently targeted the student protesters came to her home and law office looking for her. She and her family moved around Managua for weeks before eventually heading to Mexico. Her laptop open on a small table and Nicaragua’s flag draped over the back of her chair, the 28-year-old lawyer discussed creating a virtual museum to document the repression. The group is also working toward a cooperation agreement with the Mothers of Ayotzinapa, relatives of the 43 students who disappeared in September 2014 in southern Mexico, and establishing a formal relationship with the Mothers of the Plaza de Mayo. “They have a great record of fighting to find out all of the different human rights violations, the documentation, the investigation, their unwavering demand for the truth, to demand justice and we know those are processes that don’t happen overnight,” Valdivia said of the Argentine group, which formed during that country’s military dictatorship in the 1970s to search for missing relatives. In May, a branch of the Argentine group sent a letter to their Nicaraguan sisters expressing their solidarity and offering their assistance. Marjorie Agosin, a Wellesley College professor who wrote a book about the Mothers of the Plaza de Mayo, said the Nicaraguan group can learn from the resilience of their Argentine counterparts. The Argentine mothers effectively used symbols — marching in white kerchiefs that suggested children’s diapers — and leveraged alliances with all layers of society as well as international human rights groups, she said. It makes it difficult for the government to just dismiss them as terrorists, she added. The day Socorro Corrales decided to walk with Francisca Machado to the cemetery she was angry. “It made me furious, it hurt,” said Corrales, who is now in the United States seeking asylum. Over the succeeding months, more and more women came forward to support each other in demanding justice in the killings of their relatives. The mothers, sisters and aunts of the victims gathered every week at a traffic circle in Managua to maintain their visibility until such demonstrations were prohibited. Francys Valdivia said she began hearing from more and more mothers who sought her legal counsel. They eventually formed the foundation of the movement. With public anti-government protests effectively banned in Nicaragua following last year’s unrest — the biggest challenge to Ortega’s power since he was re-elected more than a decade ago — members of the association held demonstrations in Costa Rica and Spain this month.